Cutting the shipping sector’s CO2 emissions in line with global climate change targets will need an approach that goes beyond current regulations, according to a new report by researchers from the Shipping in Changing Climates Consortium at UCL and the Tyndall Centre, University of Manchester. The new research presented May 13th to the Marine Environment Protection Committee (MEPC) of the International Maritime Organization (IMO) will illustrate the wide gap between what is needed to avoid 1.5/2°C of warming, compared with the current direction of travel of shipping CO2. The analysis shows how avoiding 1.5/2°C, whilst maintaining shipping’s present 2-3% share of total anthropogenic CO2, requires at least a halving of its CO2 emissions by 2050. This is the first time that the scale of the challenge has been presented directly at the IMO and articulated in terms of trajectories for individual ship types. The paper coincides with the submission to the IMO of a paper by the Republic of Marshall Islands calling for MEPC to agree a quantifiable and ambitious GHG emissions reduction goal for international shipping. “Many have been trying for years to make progress at IMO on this incredibly difficult topic. Its not lack of progress, but the difference between the path we’re on and the path that we need to be on that is a remaining issue. Having an agreed goal of how shipping will need to change over the next 35 years is a small but important part of the discussions that are needed. 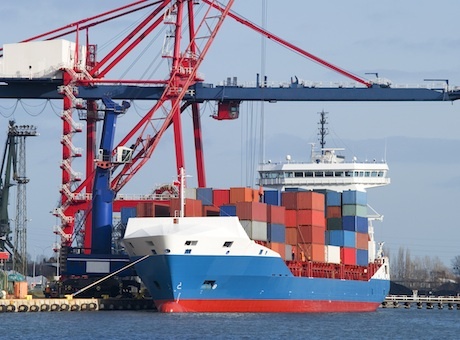 However the discussions resolve, the planning for change cannot start soon enough - if it’s going to have a minimum of disruption on international shipping and global trade.” said Dr Tristan Smith, Lecturer in Energy and Transport at the UCL Energy Institute. “Avoiding 1.5/2°C of warming with any reasonable degree of probability is a huge challenge for all fossil-fuel consuming sectors, and shipping is no exception. This new research illustrates the scale of challenge ahead and draws attention to a conflict between global climate change targets and the current expectations of rising CO2 to meet the rising demand for international shipping”, said Dr Alice Bows-Larkin, Reader in Energy and Climate Change at the Tyndall Centre, University of Manchester. “As we analyse the shipping sector and the results from climate science, we deal with many uncertainties. But one thing is certain: a transition away from fossil fuels is important, and urgent.”, said Dr Michael Traut, Research Associate at the Tyndall Centre, University of Manchester. Alastair Fischbacher, CEO, The Sustainable Shipping Initiative commented: “These findings convey the serious challenges facing the shipping industry in playing its part in meeting global climate change targets. Drastically reducing the industry’s reliance on fossil fuels and developing a more sustainable fuels mix that meets the diverse needs within shipping will be where the industry can make some of the biggest impact. The challenges associated with this are significant but we believe they must be met.